The Large Hadron Collider is one of the most iconic scientific research facilities in the world. Particle accelerators like the LHC are used to help understand how our universe was formed. Because of cost, size and overall dangers, you can’t have a particle accelerator in your house, but you can have this awesome LEGO version. 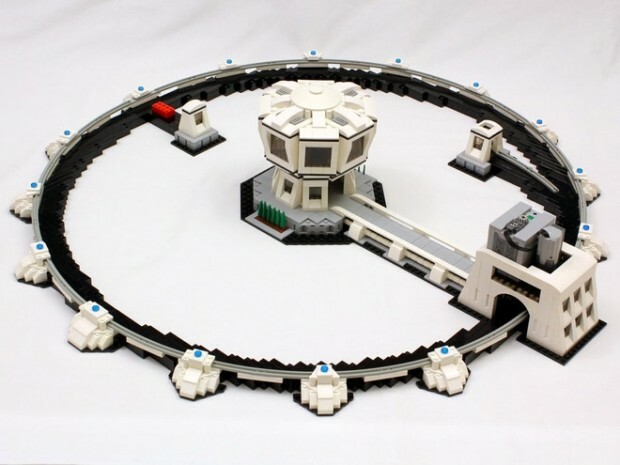 Designed by Jason of JK Brickworks, this miniature particle accelerator uses a motor and spinning wheels to send marbles flying around its circular tracks at breakneck speeds. You can even put multiple balls on the path. In the video below, you can watch ten balls going around and picking up speed at the same time. While you won’t be able to use it to replicate the Big Bang in your living room, you’ll still have fun playing with this kit. If you’d like to see the LEGO particle accelerator on store shelves, head on over to LEGO Ideas and show your support now! And if you’re a LEGO tinkerer, JK has already posted build instructions here.